Chipped, ground-down, stained and a host of other conditions of the teeth can cause one to be self-conscious. In fact, studies have shown that as many as 8 out of 10 people are unhappy with their smile. As it is the focal point of your face, many feel that their teeth are the most important assets they have. Even after taking meticulous care of them, many find imperfections that are sometimes impossible to guard against. Chipped in an accident, stained from their caffeine habit, gapped from time and gravity or any other valid complaint, there is a procedure that can turn your embarrassment into a smile, and one that you are proud to show off. Porcelain veneers are an effective and safe method of creating the ideal smile for you. They are thin porcelain facings that are bonded to the front of your teeth, used to change the shape, color, size and spacing of your teeth. When properly installed, veneers can transform almost any imperfections into your dream smile within a matter of weeks. 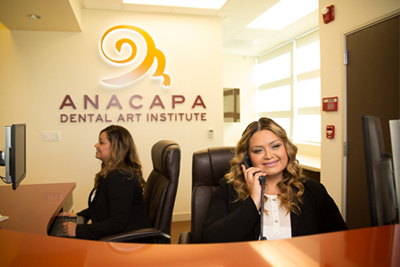 In the interest of providing among the best porcelain veneers Ventura has available, Anacapa has a unique approach when it comes to porcelain veneers. After your private consultation—where your goals with the procedure are understood and discussed—you will get fitted for your veneers. Dr. Jivraj and his team will take impressions of your mouth and photos in order to make a wax model. From there, Dr. Jivraj will adjust this model until it is shaped into what you consider the ideal smile for your face. Once you are pleased with the results of the wax model, the Anacapa dental lab will create temporary veneers that you will wear for about two to three weeks, a step that a lot of dentists will skip. This is a “test drive” of sorts, giving you and Dr. Jivraj time to see what works about your new smile and how your final veneers are going to look before being cemented into place. This small yet vitally important step is one of the many reasons why Dr. Jivraj is known to deliver among the best porcelain veneers Ventura has available. When you get your porcelain veneers installed, they are permanent fixtures. There is no going back without a full revision procedure. 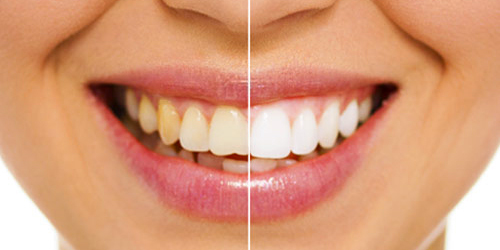 By making temporary veneers, you can see what your future permanent smile is going to look and feel like. Most dentists do not usually perform these additional steps. In veneers procedures performed by other dentists, after impressions are made, a lab will make the veneers where they are then installed, permanently. Dr. Jivraj and his Anacapa Dental Art Institute takes this extra step to ensure you will be happy with your final look. Best of all, this added perk is at no additional cost to you. Once you are happy and comfortable with the look of your future smile, Dr. Jivraj and his expert team will install the permanent fixtures. Patients from all over Southern California are given new energy to their smiles, resulting in a fresh outlook on life. Browse through our gallery and see what a difference the prosthodontists at Anacapa can make. Dr. Saj Jivraj is a top prosthodontist with over 20 years of experience. Respected by his peers for his technical expertise and beautiful results, he has published numerous articles on cosmetic dentistry and holds faculty positions as an Associate Clinical Professor at the USC School of Dentistry and is on the Board of Directors for the British Academy of Restorative Dentistry. But where he dedicates most of his time is at his clinics, delivering among the best porcelain veneers Ventura has to offer. Call us to schedule a consultation and find out why people have driven from all over Santa Barbara, Ojai, Camarillo, Carpenteria and Thousand Oaks to get their porcelain veneers done at the Anacapa Dental Art Institute.